Business Analyst Group (BAG)as the empanelled training agency of CBSE has imparted trainings to the members of management committee, principals, teachers, students and parents of CBSE schools across the country since the year 2011. Lean manufacturing or lean production, often simply "lean", is a systematic method for minimization of 8 wastes ("Muda") within a manufacturing system without sacrificing productivity. 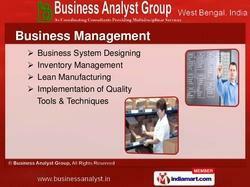 At Business Analyst Group, so far, we have completed more than 600 Market Research and Survey projects. We have handled assignments of all types of researches. We are known for our quality of services and time bound assignments. 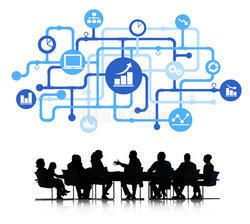 We claim to be one of the reliable and trusted organization in this genre. We have a group of qualified and trained Field Investigators (most of them are MBA students or former head of institution or former managers worked in marketing and sales in different industries). Lean manufacturing is a management philosophy derived mostly from the Toyota Production System (TPS). Lean manufacturing or lean production, often simply "lean", is a systematic method for the elimination of waste ("Muda") within a manufacturing process. Lean also takes into account waste created through overburden ("Muri") and waste created through unevenness in workloads ("Mura"). Working from the perspective of the client who consumes a product or service, "value" is any action or process that a customer would be willing to pay for. Essentially, lean is centered on making obvious what adds value by reducing everything else. Lean manufacturing is renowned for its focus on reduction of the seven wastes to improve overall customer value. The Micro, Small and Medium Enterprises (MSMEs) are a vital part of the Indian economy contributing to over 45% of industrial production and around 40% of the total exports. There are more than 13 million MSMEs in India employing about 31 million people, easily the single largest contributor in terms of employment generation in the manufacturing sector. Under the Lean Manufacturing Scheme, MSMEs will be assisted in reducing their manufacturing costs, through proper personnel management, better space utilization, scientific inventory management, improved process flows, reduced engineering time and so on with application of LM techniques. to become highly responsive to customer demand, while at the same time producing top quality products in the most efficient and economical manner. 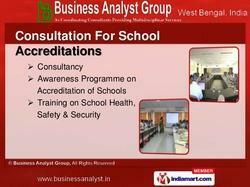 We, are the leading and most dependable consultants for accreditation of any school of any board in India. We rendered consultancy for accreditation to 42 schools of different boards and now helping 4 CBSE schools for accreditation by NABET. For more than two decades we are offering the industry with a huge range of solution driven services like Business Support Services, Corporate training, Preparing TEFR & DPR, Feasibility studies, Market Research.